Photo of: West of Ireland: Kerry: Killarney. 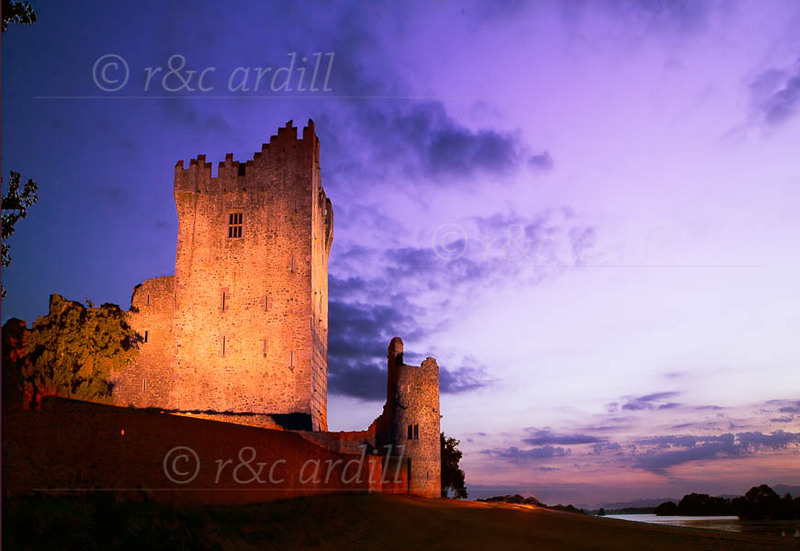 A photograph of Ross Castle at dusk. Ross Castle is on Ross Island, looking out onto Ross Bay which is part of the largest of the lakes of Killarney, Lough Leane. The Castle is a typical example of the stronghold of an Irish Chieftain during the Middle Ages. It was built in the 15th century by one of the ODonoghue Ross chieftains.